One of the most exciting parts of back to school shopping is choosing new outfits. This year, my children wanted to give more of an opinion about the clothes they bought. From the style to the fabric, they wanted to make the final decision on how they would dress for school. In their latest Back To School Clothing Mall Haul video on The Sammie and Georgie Show, you can see the styles they liked. While pink and sequins are the biggest trends they adore, one brand that continues to capture their heart is American Girl. For special occasions and playdates with friends, American Girl has an adorable and age appropriate selection of children’s clothing. While matching your dolls is fun for playing dress up at home, you can also mix and match items for practical school outfits. When American Girl offered to send us clothing, my daughters knew right away which outfit they wanted. Ever since our birthday trip to the American Girl store in Tyson’s Corner, Georgie had her eyes on the Willa outfit. She was excited to create a garden in our home for the photoshoot. She made sure to bring our family’s pet hermit crab to play. After all, Willa does like pets! Since our pet is a big part of my daughter’s life, she was very excited to introduce him on Theresa’s Reviews. Not only is Willa’s matching Hedgehog Outfit For Girls ideal for playing in your house with friends, but you could also pair the hedgehog tee with a pair of jeans for school. Another adorable and practical item for school would be the WellieWisher Socks and Peek-A-Boo Wellie Boots. Wear them on a rainy day with your favorite school clothes! In the set, you get five pairs of socks to match the outfits of all the WellieWisher dolls. Even though we don’t own the Ashlyn outfit, we mixed and matched some of our clothes to create an Ashlyn-inspired look. Several American Girl outfits look appropriate for daily school use. Sammie chose the Western Chambray Outfit because of its simple design, and she can’t wait to wear it this fall. Ever since our trip to the American Girl store, Sammie wanted the Tenney Grant Outfit. One reason is that the doll loves music. 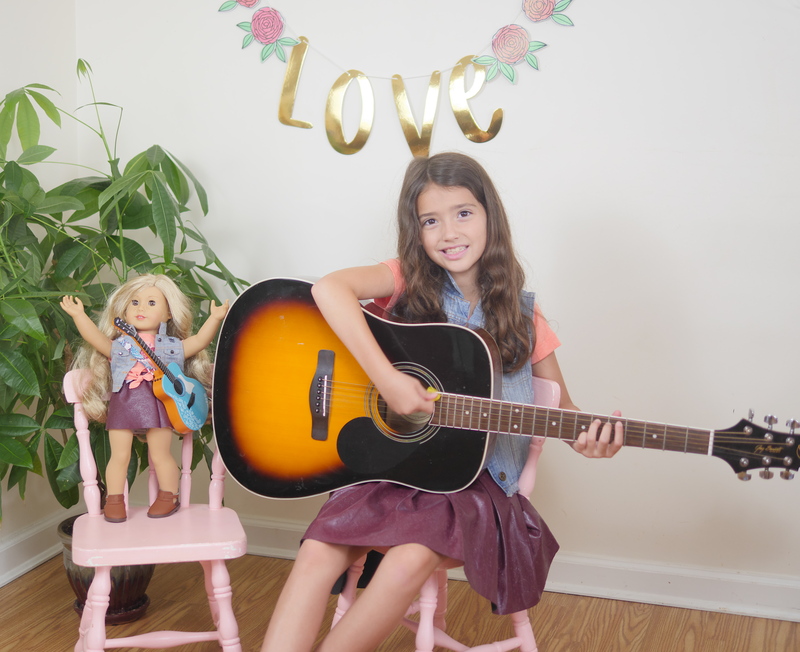 When she did her Tenney Grant Unboxing video on The Sammie and Georgie Show, she shared how much she enjoys writing music, just like the doll does. Since Tenney Grant will only be sold through December 2018, now is the ideal time to buy her matching clothing. If your children are fans of this doll, you don’t want to miss the opportunity to own the outfit. Not only is it adorable for a playdate, but you could also pair the shirt and vest with other items of clothing for practical school clothes. 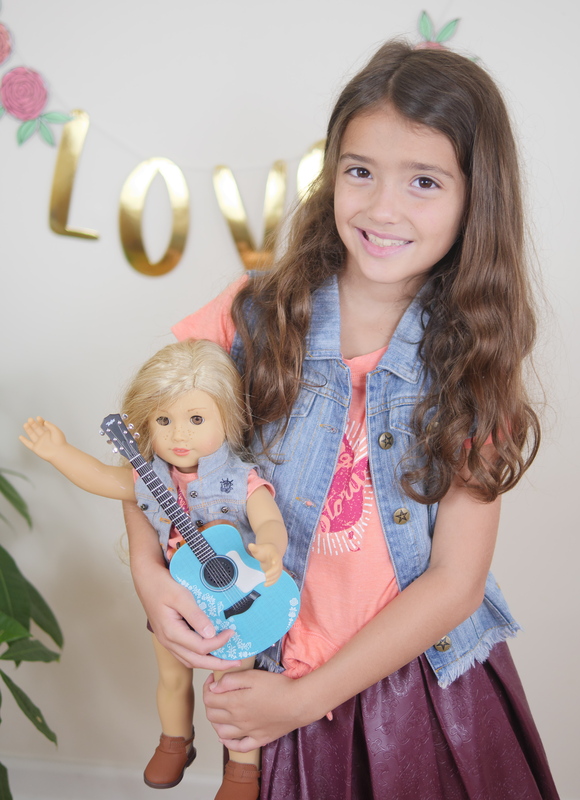 If you are sprucing up your children’s wardrobe for the new school year, check out American Girl outfits. For playtime and school, these clothes look nice and help create a wonderful memory. For more back to school ideas, follow Theresa’s Reviews on Facebook, Twitter, Instagram, Pinterest, and YouTube. Have you done all of your back to school shopping yet? Share in the comments! Sweet Springtime Giveaway! Win the American Girl Cupcakes Book! They look super cute wearing matching outfit with their dolls. Too cute for words. Did the Wellie outfits true to size some say they run small?